During the Six Nations annual international rugby union competition at the beginning of 2013, the Rugby Football Union (RFU) launched a data toolset into the public domain. The TryTracker is a platform which provides real-time data about rugby matches, as well as predictive analytics about what the outcome of games. This predictive data analytics platform, created by IBM, is part of a wider RFU strategy to engage with rugby fans and in the long term, educate spectators about the sport. “The England team is the hook, but it’s a fundamental shift all about the culture, it’s about putting rugby back into the centre of what we do as an organisation and using our values as a real differentiator,” says Nick Shaw, head of digital at the RFU. The technology being implemented by the union aims to combine the top players on the pitch, with the grassroots of the local club, to educate users and to generate interest in the sport. Capturing data about the game will enable the RFU to “demysterfy what rugby is about”, while the TryTracker can also be used to teach rugby tactics to individuals. 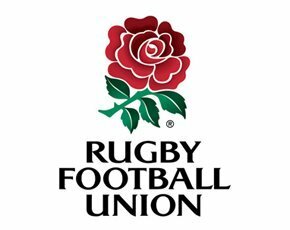 The RFU is currently working on two big IT projects with IBM: installing a customer relationship management (CRM) system and the delivery of IBM TryTracker on RFU.com. Shaw says the new website will be tailored using a CRM platform. If a user wants to play touch rugby in Manchester, he wants the system to tell the end-user, rather than firing out sporadic messages that are irrelevant to them. He says the CRM system should be fully integrated within a year, compared to most CRM systems that can take up to two years to build. Additionally the RFU.com website and the England Rugby mobile application is going to be rebuilt over the coming year. The app, which is currently only available on iOS, will be reengineered to also include Android, and to facilitate the TryTracker data toolset. The main challenge for the RFU is capitalising on all of the data that it is sitting on. But it is not just customer and business data that needs to be understood, match data is incremental for a sporting association, and the RFU has utilized this for TryTracker. The sports data company Opta, collects data from games such as missed tackles, pass completions, line breaks, yellow cards and that data is then sent to IBM which then breaks it down and hands it back to RFU to showcase in its TryTracker data set. This all happens in around 20 seconds. “It tells the story of what is going on on the field,” Shaw says. But there are some sensitivities around particular data sets, such as player’s heart rates. They could potentially monitor and showcase their heart rates, but this would need discussions with the team and management first. It is not only the real-time data which is important. Historical data, dating back to 1997 has been collected for provide insight to the predictive analytics part of the application,where Shaw says it provides 95% accuracy when predicting outcomes of games. It does this by analysing the historical data sets and spotting trends to why teams win. Shaw says that it’s important to build conversations around this data, and he works closely with editorial teams, and includes the commentary and highlights to tell users what it all means. The application is also tied into the Tournament Hub – a portal for the website which changes depending on the tournament which is being played. “The last thing we wanted was a fragmented approach,” he says. “We had record levels of traffic during RBS Six Nations even though we launched it in a soft manner,” Shaw says that they began work on TryTracker in November 2012 and launched it three months later and saw a 20% increase in traffic.